Updated Retractable Design: Upgraded cushion design, buffer the power when retract the earbuds, provide protection and help to lengthen the headphones’ service life. 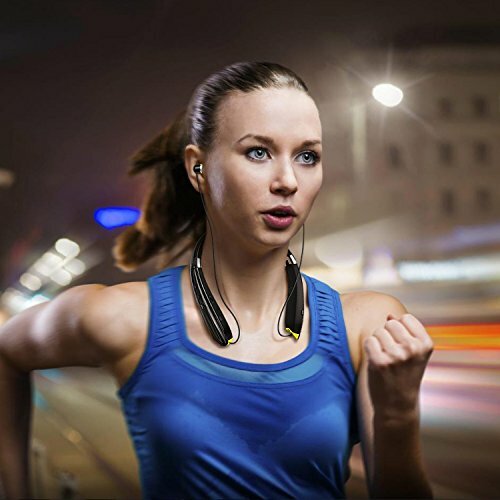 CVC6.0 Noise Reduction: Latest CSR Bluetooth 4.1 version integrates CVC6.0 noise reduction with clearer communication quality, lower latency and better stereo sound performance. 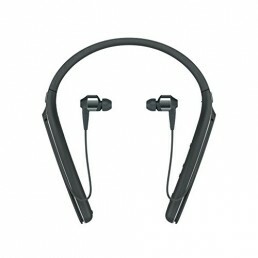 Premium Hi-Fi Stereo Sound: Advanced CSR8645 chips, steady bluetooth signal. Support CVC 6.0 noise reduction. Deliver you more natural high-fidelity stereo sound from the Bluetooth-enabled device. Haowokk upgraded Bluetooth headphone, enjoy your music life high sound quality: Csr Bluetooth 4.1 chipset brings you better music performance. 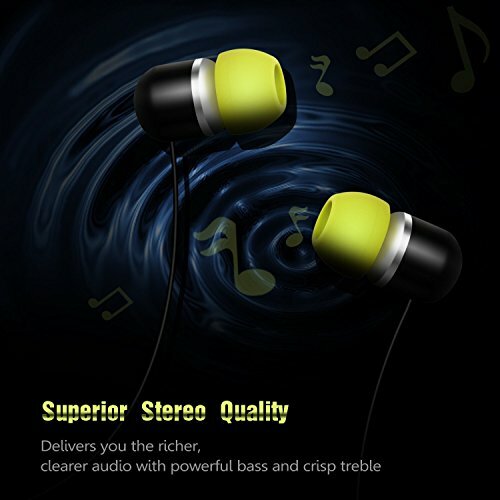 Delivers you richer and more natural high-fidelity stereo sound. 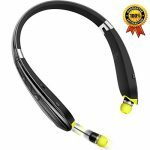 Enrich your music experience superior neckband style: Snugly fits around your neck and all extra burdens. 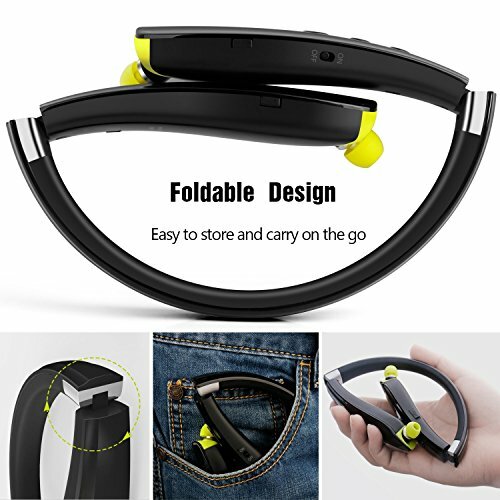 Maximize the portability for listening music. 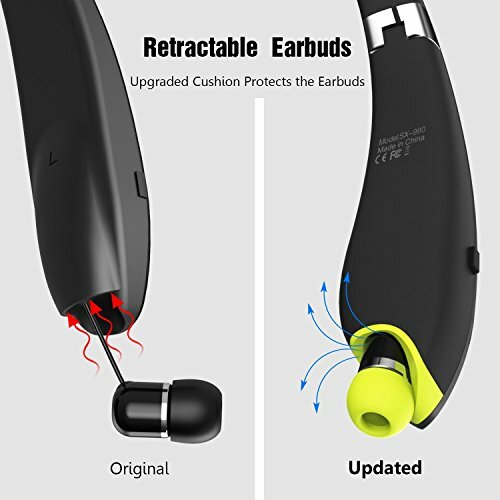 Upgraded cushion design: Cushion design to protect earbuds. Longer service lifespan. Comfortable foldable neckband: Easily fold the left/right part when not in use. 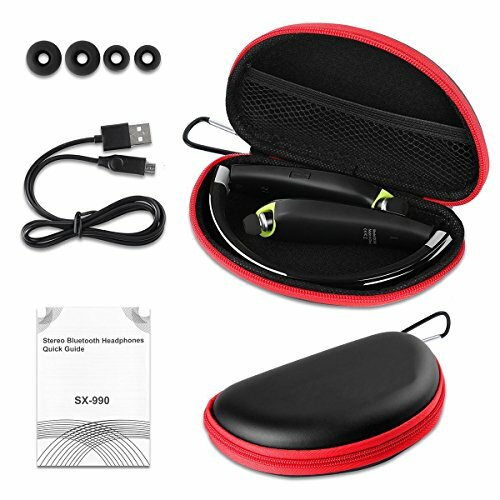 Enjoy music on the go. Superior battery life: 16hrs music play/18hrs talk time per charge. Fully charge only takes 3hrs. 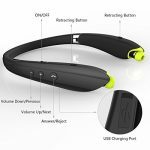 Specification: Bluetooth version：4.1 chip: Csr8645 support: Hsp/hfp/a2dp/avrcp compatible with: All iOS/android phones, laptop and other Bluetooth enabled devices working distance:≤10m (33 feet) transmitting power: Class 2 charging time：≤ 3.5 hours talk time：≥18 hours music time：≥16 hours standby time：≥300 hours frequency range: 2.4026-2.480ghz package content: 1 x neckband Bluetooth headset 1 x headphones zipper case 1 x usb charging cable 3 pairs x ear tips 1 x user manual. Comfortable Ergonomic Neckband: Perfectly fits your neck and lifts all the extra weights on ears and shoulders. 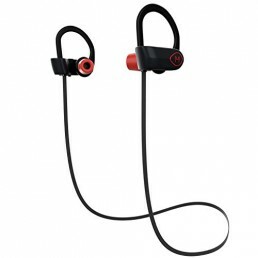 Maximize the portability for listening music on the go such as gym running workout or more. Brilliant Battery Life: 16Hrs music play/18hrs talk time after full charged. 300hrs standby time. Beeps alert when battery is low.